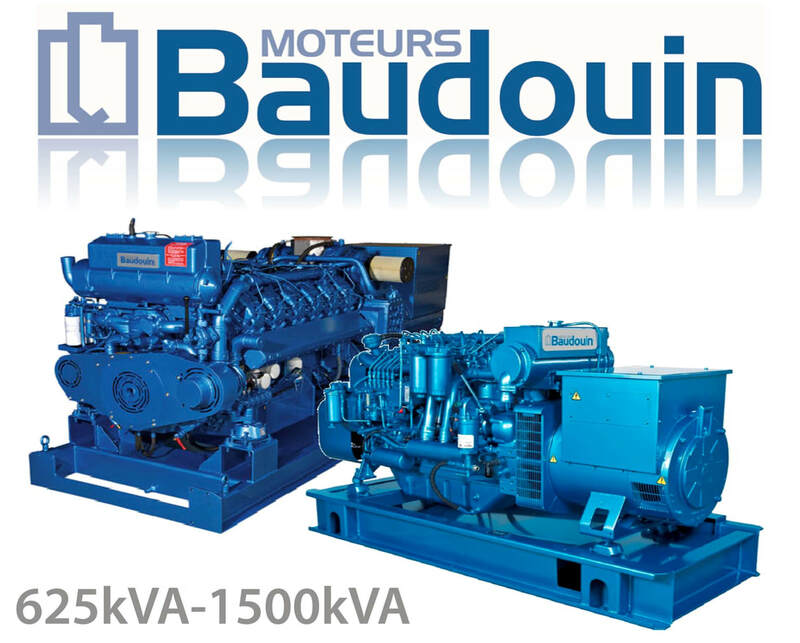 12-16 Cylinders, Water-cooled, 4-stroke; In-line; Turbocharged diesel engine ; Low oil consumption and low emmission; Reliable and fuel-efficient; Compact structure with power stability & World-Class product support complying with international quality standards. 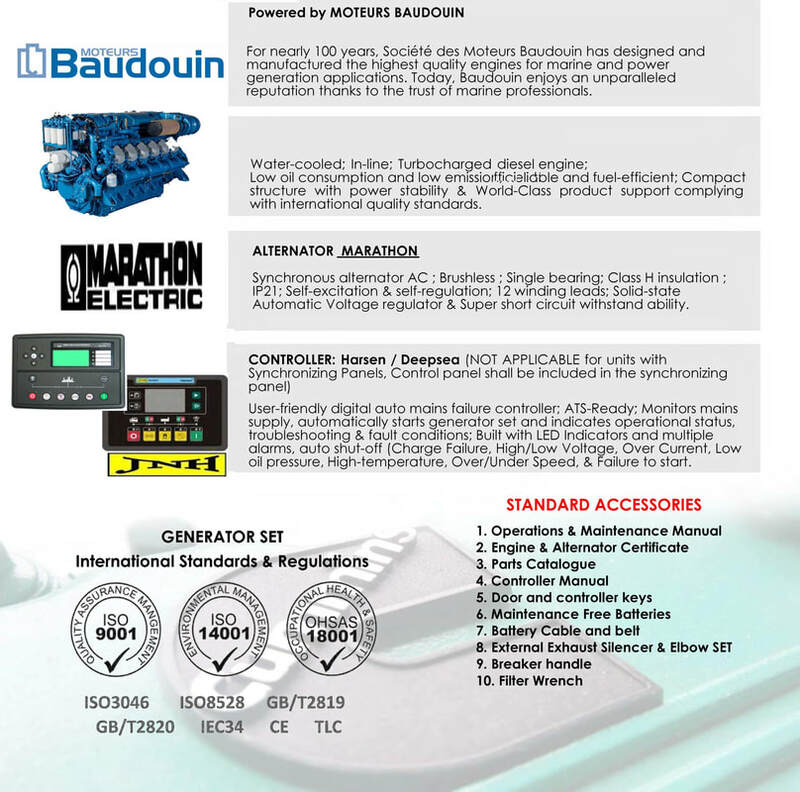 Synchronous alternator AC ; Brushless ; Single bearing; Class H insulation ; IP21; Self-excitation & self-regulation; 12 winding leads; Solid-state Automatic Voltage regulator & Super short circuit withstand ability. 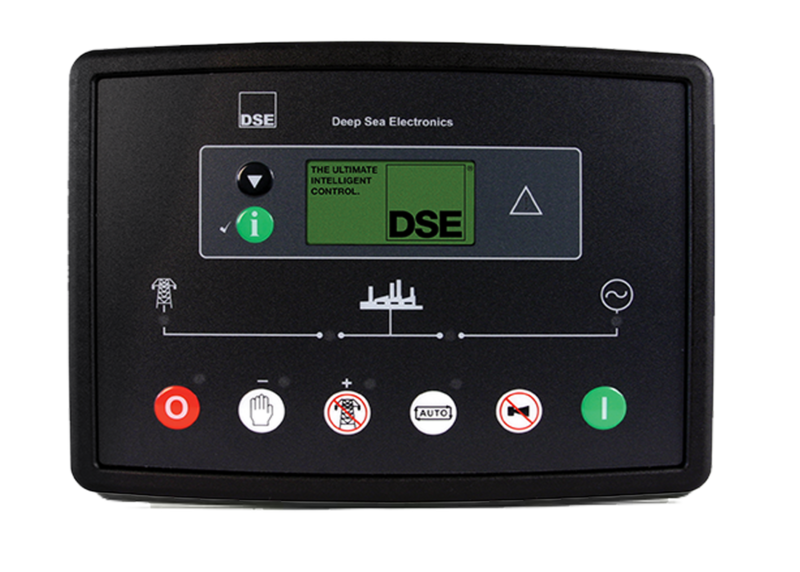 ​User-friendly digital auto mains failure controller; ATS-Ready; Monitors mains supply, automatically starts generator set and indicates operational status, troubleshooting & fault conditions; Built with LED Indicators and multiple alarms/auto shut-off (Charge Failure, High/Low Voltage,Over Curent, Low oil pressure, High-temperature, Over/Under Speed, & Failure to start.